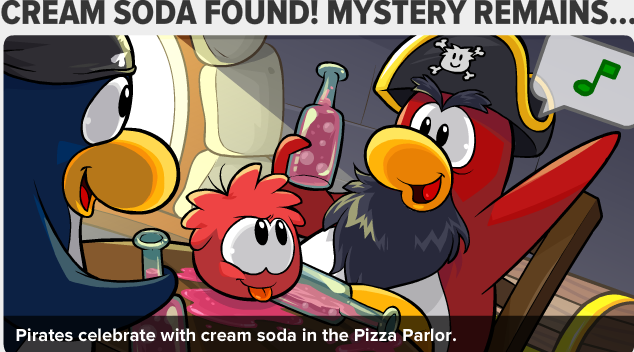 Club Penguin Cheats by Mimo777 Club Penguin Cheats by Mimo777: Club Penguin Times #301 Released! maybe the festival of flight. If Gary is announcing it, so what would it be..
What happens at that time..
Oh, and he will only announce the party then, so that means.. Perfect time!!! 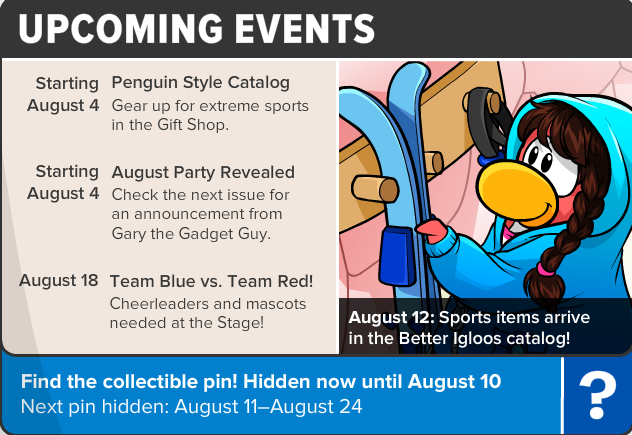 The Festival of Flight was caused by the need to fix the windows in the Cave! Does CRABS (click, click, BRAKE!) anywhere means something???? It Probably is the mini-x games coming to the game. 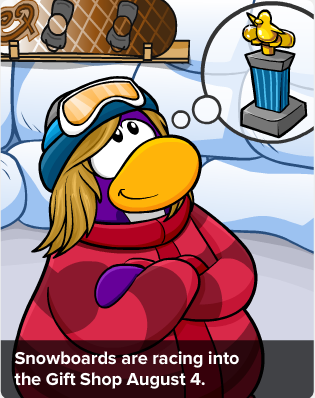 cuz in the x games sheet thingy it said learn to ski or "SNOWBOARD". 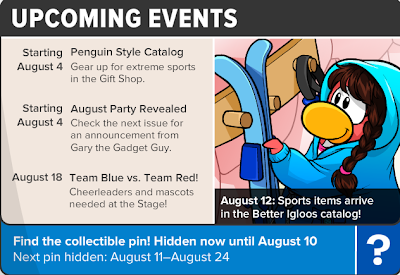 penguins there will receive a coin card "TO CONTINUE THE FUN AT HOME." the word/s in quotation marks are HINTS. see what I'm getting to? maybe its another machine for members, or another different adventure party, this time with better tools.